There are so many different meditation techniques out there, and people often get overwhelmed trying to find the right way to meditate. There is no one way to meditate, and many different traditions have different practices. There are many different types of Buddhism, other religions that incorporate meditation practices, and secular meditations. 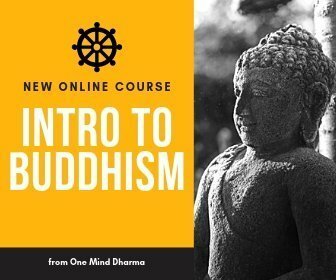 These are a few introductory Buddhist meditation techniques. These are some of our own ideas on how to practice meditation for beginners. Some may work better than others for you, so investigate for yourself to see what is useful. Although these practices come from the Buddhist tradition, there really are no beliefs you need to have in regards to religion or spirituality in order to practice. There are many meditation techniques for concentration, but we’re going to talk about one of the most accessible ones. When you think of meditation, you may think of a person sitting and focusing on their breath. This is a form of concentration practice, and an incredibly useful one. Concentration practice is a form of samatha meditation, a practice which helps collect the mind. As we get started with concentration practice, it’s important to remember that it is a practice. The mind wanders naturally, and the point of practice is to build the ability to focus. The mind isn’t supposed to be perfectly concentrated when you start! A great technique to get started with cultivating concentration is a counting exercise. As you sit and bring your awareness to the breath, you can begin counting. The counting practice serves as a way to help give the mind stimulation. You can inhale and exhale with awareness, and count 1. Inhale, exhale, and count 2. Count like this up to 8, then start back at 1. The numbers are just a way to give the mind something extra to focus on, and not meant to be an indicator of how well we are doing. Here’s a concentration meditation using this method that you can try! Body scans are wonderful for beginners and seasoned experts alike. In my experience, it’s one of the best meditation techniques for anxiety, it can be done any time, and is always helpful. Whether we do this in a dedicated meditation period or during our days, it’s a wonderful practice for those new to meditation. In a body scan meditation, we move through the body slowly. As we focus our attention on each part of the body, we simply notice whatever is present for us. This is a practice in mindfulness and patient observation. Rather than fixing anything, we rest in a gentle awareness of each part of the body. To do a body scan, you can choose an end of the body at which you’ll begin. We often start ours at the top of the head. Move through each part of the body from head to toe, tuning into your experience. Whether it’s the clothes on your body, some points of tension, or a point of contact, just tune into whatever is arising for you in the physical body. Here is a body scan meditation you can practice with! 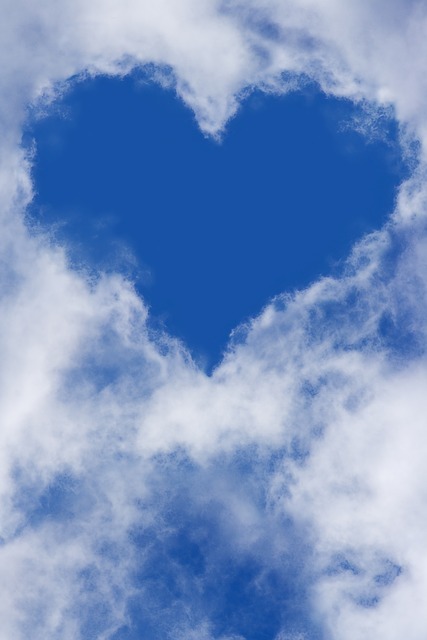 Metta, or loving-kindness, is the first of the four heart practices in Buddhism. These practices are ways to begin opening the heart and responding to experience differently. With metta practice, we are cultivating a mind and heart that care for the wellbeing of ourselves and others. We practice wishing well for others, often in the form of happiness, health, safety, and ease. Metta can really help us connect with the fact that beings have needs, desires for ease, and joys and sorrows. In metta practice, we offer phrases traditionally. These phrases are not really meant as prayers, as the goal isn’t to impact change on the other person. Instead, the phrases are a technique to cultivate an intention in ourselves, or to tune into the caring nature we already have. Here’s a practice in which we investigate metta for ourselves and a little bit of compassion. Walking meditation is a powerful practice, and one many people don’t really take seriously. However, the Buddha actually recommends walking meditation in many of his teachings. It’s a great technique to use in daily life, and one of my favorite ways to practice moving meditation. Just like sitting meditation, we can practice almost anything in walking meditation. We can do a heart practice, cultivate concentration, or work with mindfulness. Although it is a different posture, the technique is similar. A great introductory way to investigate walking meditation is to simply tune into the feeling of walking. You can start with the feeling in the bottom of the foot. What does it feel like to raise the foot? What about setting it down? You can also tune into the muscles in the legs working, the movement of the hips, or the experience of the whole body moving through space. Open awareness, or mindfulness, is another great meditation technique. It can be a little much sometimes when we’re new to practice, but it really is the crux of many Buddhist traditions. We rest in a receptive, open state. Just as we do with the body scan mentioned above, we watch whatever arises and just leave it be. Mindfulness is about recognizing what is happening in the present moment, and we can be mindful of anything arising and passing. This includes the thoughts, sounds, feelings in the body, and anything else present. We often start our mindfulness meditation periods with a few minutes of concentration practice to help the mind settle. After allowing the mind to collect a bit, you can begin opening up to whatever else is arising in your experience. As something comes up, we simply notice it and continue to rest in awareness of our experience. This is one of our favorite meditation techniques, and a great way to begin investigating mindfulness.